Immenhausen is on the eastern border of the Haerten area and is the smallest of the five towns. However the town is very proud to have won various prices in the state competitions “Our town should get nicer”. In 1979 Immenhausen won the bronze medal. Around Immenhausen you will find special protected areas like the Ehrenbachtal” and “Kalter Brunnen”. The town is probably founded in 700 and first mentioned in 1080 in the historical chronic of Ortlieb from Zwiefalten. 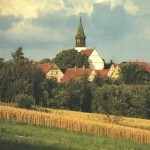 In 1479 the town is wholly owned my the Monastery of Bebenhausen. The oldest names mentioned are Georg Schlotterbeck, Hans Kutt (Kautt? ), K..
Breeger. Otte Mayer is the first mentioned Mayor of Immenhausen. 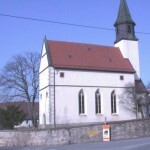 In 1534 the church was reformed and together with the Monastery it became part of Wuerttemberg. 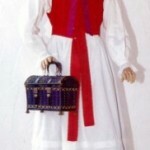 In 1783 Adam Groß left Immenhausen together with his wife for Galizien. My oldest Kemmler in Immenhausen is Johann Jacob Kemmler (*4. 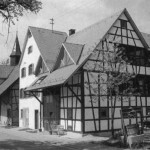 Dec, 1709) as his father Martin Kemmler moved to Immenhausen, where his wife Elisabeth Riehle originated from. 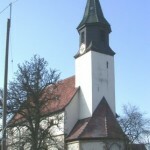 The parish in Immenhausen is part of the parish in Maehringen. 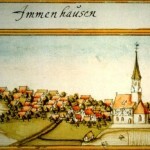 Painting of Immenhausen 1683 by Andreas Kieser © Geschichtsverein Haerten e.V. 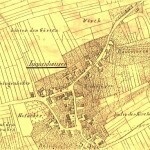 Old City Map of Immenhausen © Geschichtsverein Haerten e.V.